Here's how I whip up some compost - it's the simplest recipe. Find a spot in the garden to build your compost pile. It needs to get some rain and some sun. Lay some cardboard on the area. It doesn’t need to cover the whole area. Earthworms like cardboard, and we want earthworms. Kitchen scraps: fruit and vege, cooking water, egg shells, serviettes, coffee grounds, tea bags. Pretty much anything you’d eat, except meat. Vacuum cleaner dust, pet fur. Every month or so, visit the beach (not a marine reserve) and fill a rubbish bin or two with any types of seaweed. Chuck it on the heap. After a few months, or when it gets high (as in tall - not stinky), turn it over. 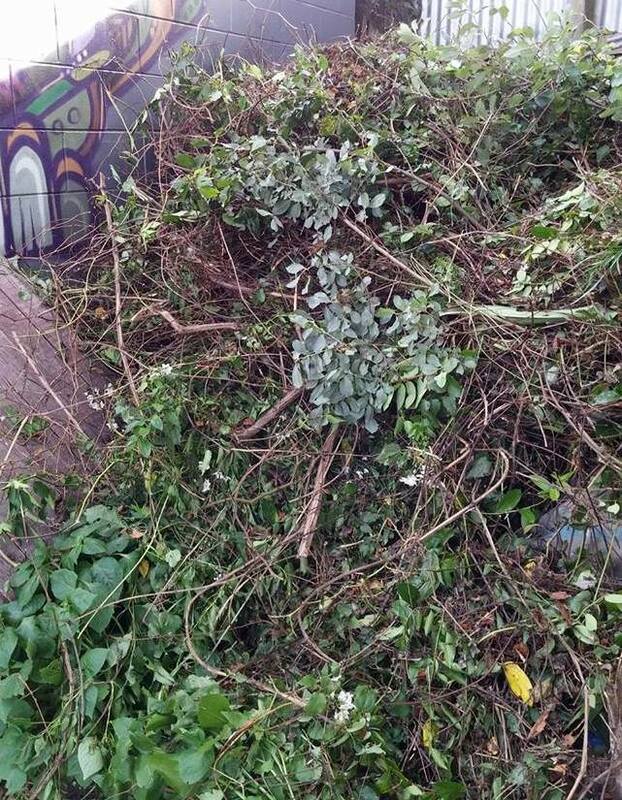 I move the pile to a space next to it (remember it’s lazy compost), using the biggest garden fork. As you do this, you will see all the critters hard at work turning your waste into beautiful soil: black beetles, centipedes, hoppers, slaters, many red worms, and more. Where the heap was, you now have a weed-free patch ready to plant. And, you can use the healthy soil from the bottom of the compost pile. Win-win! ​That’s lazy compost. Easy peasy! A recent visit to Berhampore Plant Nursery where I learnt about everything from eco-sourced seeds, to raising plants, to freeing them in the wild again. See my photo story here. Look at these deep purple cornflowers that appeared in my garden. The calendulas are a standard at mine. The beneficial insects enjoy them, they flower non-stop, and look after themselves. Here's a job I did a month or so back. 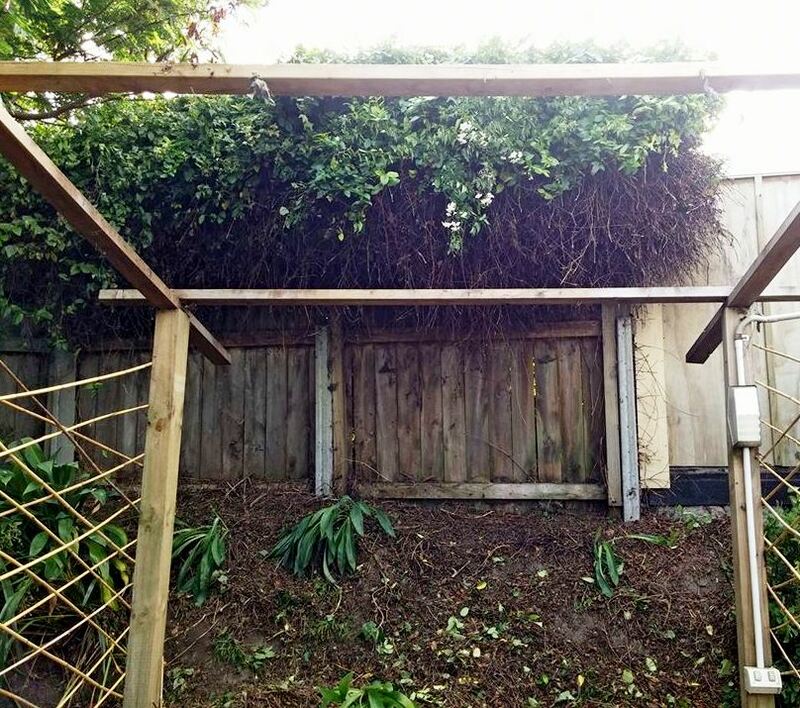 ​The pergola was covered in 3 types of vigorous pest vines (old man's beard, honeysuckle and jasmine). They'd run rampant and created a huge dense canopy from the fence to over the pergola. Putting my hedge trimmer to work I cleared all the pergola. The bank is ready to plant and the plants will now get the light they need to grow. You can see the dense matting by the fence - a project for another day. The resulting compost heap was taller and fatter than me. It definitely pays to keep on top of those pest plants. Weedbusters can help you id pest plants at your place.